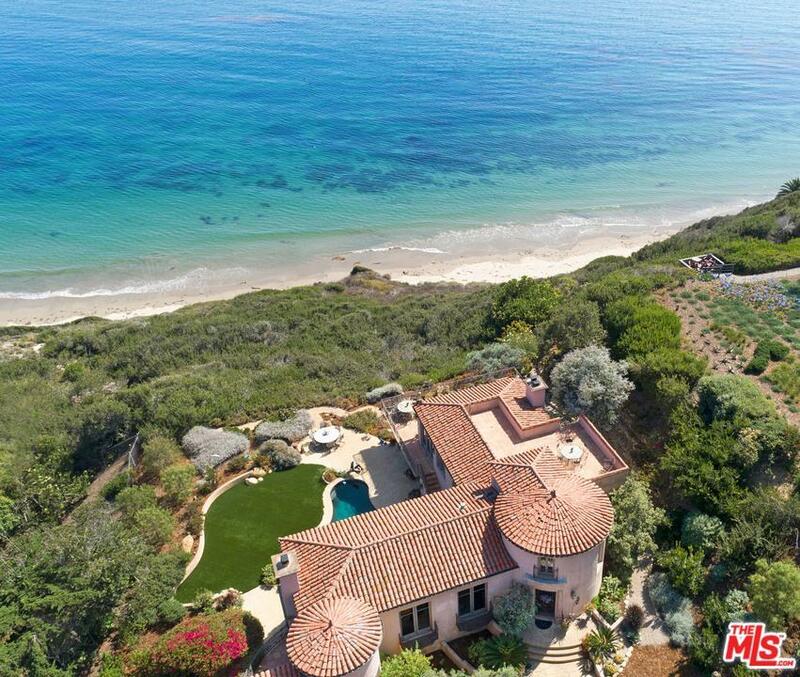 Grand Mediterranean Estate with incomparable Pacific Ocean and Island views in Hope Ranch's only gated enclave. 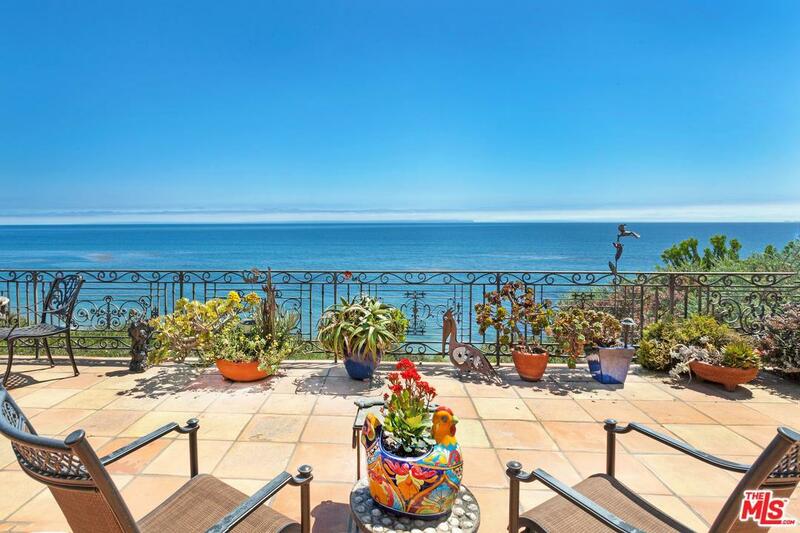 Sophisticated old world 4 Bedroom and 4 1/2 Bath home with office, wine room, elevator, pool and tower room/Art Studio has perfect combination of indoor and outdoor living and the ultimate Santa Barbara beach lifestyle. Living room, with fireplace imported from France, and dining area features 6 sets of French Doors with balconies that open to sweeping ocean or garden views. Fully equipped kitchen overlooks breakfast nook & family room, which leads to grand terrace. Master bedroom with side patio looks out to the ocean. Upstairs tower room with Art Studio could be used as an office and has rooftop patio with ocean views. Downstairs you will find two guest bedrooms with baths and a guest apartment that each have French doors leading to the patio and pool area. Private ocean view guest apartment complete with bedroom, bath, kitchenette, dining area & living area with fireplace. 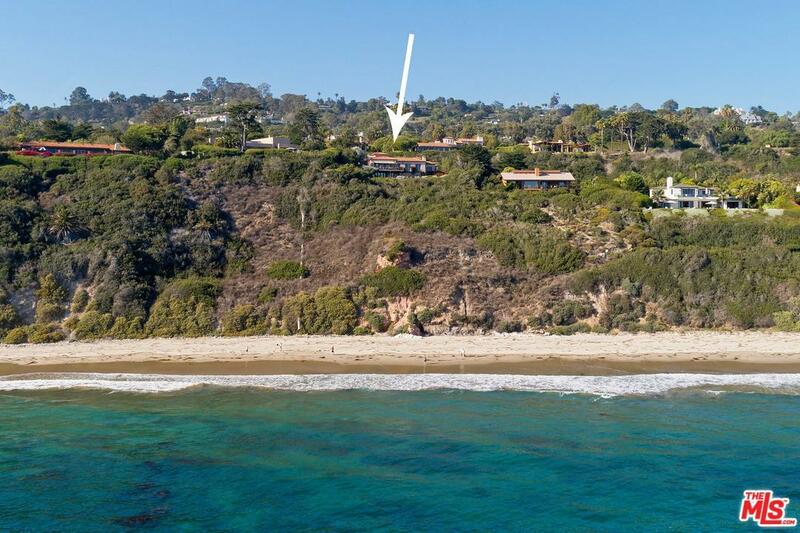 Listing provided courtesy of Terrence Ryken DRE#01107300 of Terrence J. Ryken.